April 1, 2011 by Dr. Juliet Tien, D. N. Sc. a) Feed your body with complex carbohydrates instead of simple sugars. Complex carbohydrates raise the level of a chemical in the brain called serotonin. Serotonin elevates mood and regulates sleep. b) Your daily diet should contain at least 40% complex carbohydrates, less than 20% protein, and less than 20% fat. During your premenstrual period, you may increase your complex carbohydrate intake and reduce that of protein, for protein may interfere with serotonin synthesis. c) Crucifers such as broccoli, cauliflower, cabbage and Brussels sprouts are rich in dietary indoles, which are excellent in removing the excessive hormones mentioned above. Broccoli is also rich in absorbable calcium, which is very helpful in strengthening the bones. Most people who suffer from a severe case of PMS also have a history of yeast disorders and drug, alcohol or nicotine addiction. It is important, therefore, to cleanse the accumulated toxins in the body in order for it to function properly. Our Herbal Detox program consisting of Yeast-Para Control and Cleansing-Balance Tea is a good choice for detox during PMS or all year round. Yeast-Para Control is designed to remove excess yeasts and parasites in your body, and Cleansing-Balance Tea is designed to flush out the “debris”, especially from your liver and kidneys. These two formulas work hand in hand to keep your body clean and your immunity strong. For the case of PMS, these formulas will greatly reduce sugar craving caused by the demands of yeast and parasites. In addition, Female Vitality is very effective in balancing female hormones such as estrogen, progesterone and prolactin. 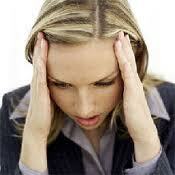 Thus, symptoms such as blood volume increase, bloatedness, water retention, and mood swings will be controlled. 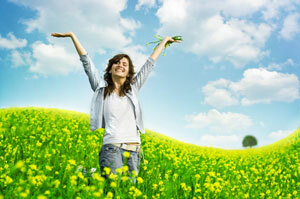 Female Vitality also improves mental clarity and uplifts mood and productivity. In part 2 of this article, I will address more self-administered, natural remedies for PMS, including exercise, Hands on Healing, stress management, and sexercise. Stay tuned! For consultation on yeast-free nutrition, herbal detox, hormonal imbalance, stress management, and spiritual counseling on Skype or telephone, please call us at (800) 715-3053, or send an e-mail to drj@drjsbest.com for an appointment.